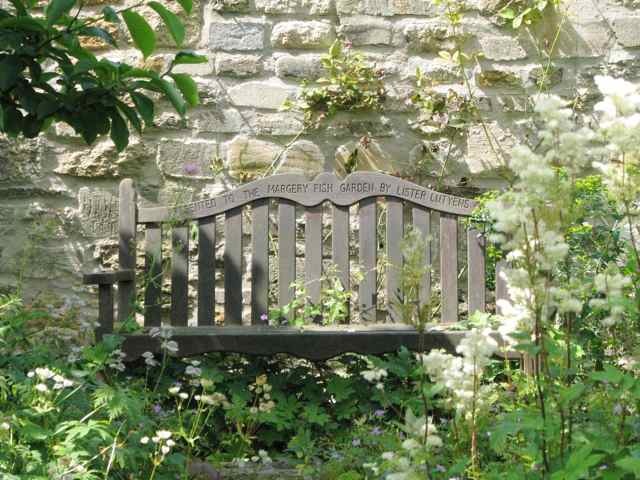 No visit to Somerset would be complete without a visit Margery Fish's home in East Lambrook. This amazing plantswoman will always be remembered for her contribution to "cottage" and country gardening. She lived there for 30 years and passed on her ability to create drifts of colour in a small space in her numerous books, including "Cottage Garden Flowers", which became a bible for country gardeners in the 1960s. Margery and her husband Walter bought East Lambrook Manor in 1937 for £1,000 and together they developed the two-acre garden there. But when Walter died in 1949, Margery emerged as a keen plantswoman in her own right and spent her time lecturing and writing about gardening, as well as building up a nursery to supply an increasingly knowledgeable garden audience with the plants that they needed to emulate her style. She also developed her own cultivars including Astrantia Major, Hebe, Penstemon and Pulmonaria saccharata Margery Fish; and Euphorbia wulfeni, Dainthus, Primula vulgaris and Santolina Lambrook. The most striking feature at East Lambrook is that every inch of space has been used to create a garden that is filled with vibrant colours throughout the year. 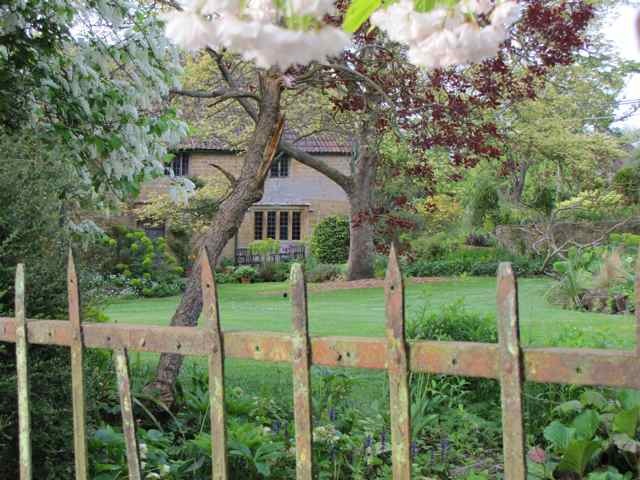 The garden starts drawing visitors in February for its snowdrop displays; and throughout the spring and summer months, the planting has been carefully chosen to provide colour and interest whenever you visit, starting with drifts of spring bulbs in March and April and wonderful full cottage borders in May and June. There is always something in bloom and it is the abundance of the planting that will strike you, because there are no patches of dark earth to be seen anywhere. 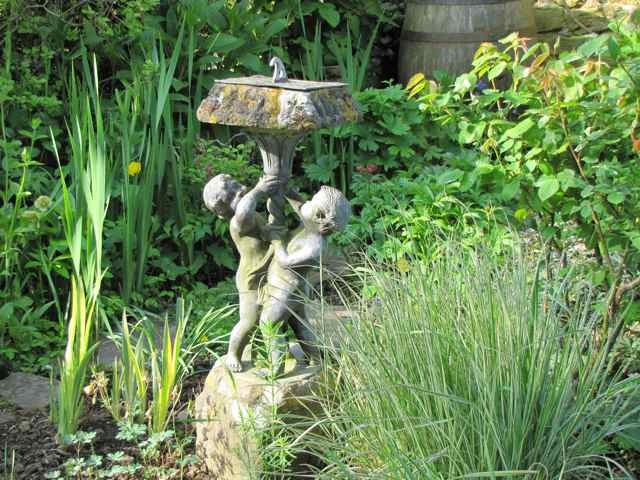 You'll certainly leave here with many new ideas for your own garden! 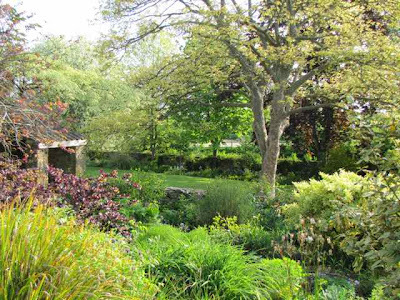 Although the garden is small, it gives the impression of being much larger because it is cleverly divided into separate areas with a series of winding paths and lovely vistas which make you think you're in quite a large space. There is a true cottage garden adjacent to the house, and at the rear of the property there is a meadow area and a bubbling brook. You can easily spend a couple of hours here, just wondering at all the different plants. If you're planning to visit other gardens in the area, you'll be spoilt for choice because there's Athelhampton, Mapperton and Hestercombe, and you many even want to stay at the lovely bed and breakfast adjacent to the garden, East Lambrook Farm, run by a charming English hostess and offering great comfort in another lovely Somerset stone house. You can't get much more off the beaten track than this and you may just want to stay for ever! 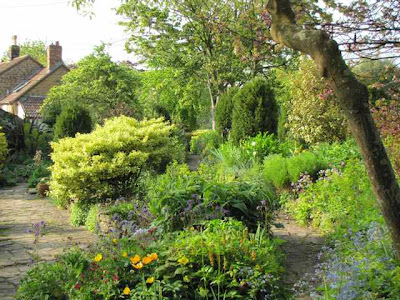 A lovely post Charlotte, I have enjoyed two visits to this garden over the years and I am a great fan of Margery Fish's style of gardening and especially her book We made a Garden. I often think of what she wrote about her and Walter especially when Mike has done something in MY garden that I would prefer him not to have done. I have never been to this place, it looks enchanting! It looks just lovely - I would certainly enjoy a wander about! I need a chart of your numerous UK garden favorites and I must plan a return trip across the pond.